From humble beginnings in 1988 Pro Roof Steel Merchants has grown to become one of the largest and most prominent steel merchants in Southern Africa. Since its embryonic beginning Pro Roof Steel Merchants has contributed significantly to the growth of South Africa by manufacturing and supplying quality steel products into all sectors of the South African economy. 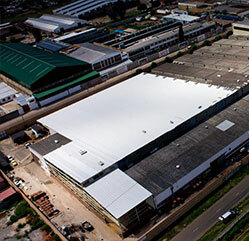 In 1994 Pro Roof Steel Merchants expanded its Vereeniging operation by acquiring cut-to-length and slitting lines, the operation was further enhanced in 1997 by commissioning a cold formed sections plant. In 1998 a gate and fence manufacturing division was established. Pro Roof Steel Merchants entered the export market in 1998 and since then the group has been supplying various steel and allied products into numerous export markets in addition to our South African commitments. The Cape Town operation was established in 1999 and the manufacturing capabilities of the group were further enhanced by acquiring the first of several tube mills. In 2001 the group branched into merchanting of structural steel sections and has since then grown to a force to be reckoned with in both the flat and long steel product markets. Further cut-to-length and slitting lines were introduced in 2002. 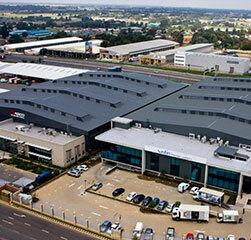 In order to continuously increase the “national footprint” of the Pro Roof Group of Companies, the Pretoria operation was established in 2004. This Branch is currently the only Full Roofing Solution Provider in South Africa. A great strength of Pro Roof Steel Merchants is the diversity of the economic sectors that make use of our product range. Although it started as a roofing company back in 1988, it has expanded its product range to most steel products commonly used in the various markets it operates in. The key to the sustained growth of the group, is its determination to succeed and its commitment to customers and employees alike. This commitment ensures an excellent working environment and an ever expanding customer base. 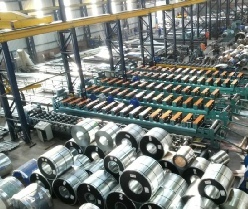 Pro Roof Steel Merchants currently employs approximately 500 staff members throughout its three service and steel processing centres situated in Vereeniging, Cape Town and Pretoria. A large contingent of the staff employed are technical staff which are required to operate and maintain the various manufacturing and processing equipment within the group.